Hours on hours, days on days, weeks on weeks, and even years on years — that’s how long some people spend in the gym trying to achieve physical perfection. While determination and dedication are major keys to success, let’s be real: sometimes we can all still use a little extra help. Personally, I’ve lost count of the amount of times that I wished I could simply just transfer fat from one part of my body to another, and chances are, I’m sure you have too. And while I always thought it was one very far-fetched quick fix, the truth is, it’s not so crazy after all. For my couch-potato self, I have to admit that the idea seemed like a dream come true (who doesn’t love an easy way out?! ), but for my iron-pumping boyfriend, I figured it was one that never even crossed his mind. He didn’t take the easy way out. He didn’t just wish for the perfect body. Instead, day in and day out, he put in the work to achieve it. So, on the day that he came home and told me he would be undergoing a minor plastic surgery procedure, I couldn’t believe my ears… until he explained. Naturally, my boyfriend was a skinny kid. He wasn’t big-boned, he wasn’t stocky, he was a “stringbean,” as he put it. And although he was able to transform his body in the gym, his face was a different story. His body bulked up in ways he never thought were even possible, so much so, that he felt his face no longer matched. “I look sick,” he explained to me. “My face is so hollow. I can do all the workouts in the world, but they’re aren’t any to strengthen up my face structure.” So, he turned to Dr. Steinbrech. 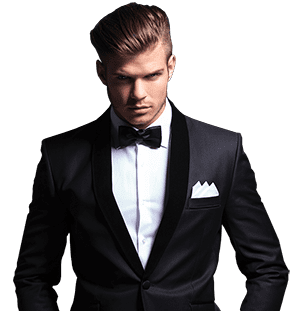 Just like my boyfriend, other muscular men in NYC and LA can benefit from Dr. Steinbrech’s facial fat injections by gaining fullness throughout their face. Facial fat injections involve the transfer of fat from one area of the body to be injected into the desired areas of the face. The fat cells can be used to add fullness under the eyes, in the lips, and cheeks, all delivering a natural looking result. After the facial fat injections, not only did my boyfriend see immediate results, but I did too — I saw that for seemingly the first time ever, he finally felt like himself. While muscles may be made in the gym, a full, flawless face is made in Dr. Steinbrech’s office. Little preparation is needed for facial fat transfer, but smoking must be avoided leading up to and post-procedure for a few weeks. 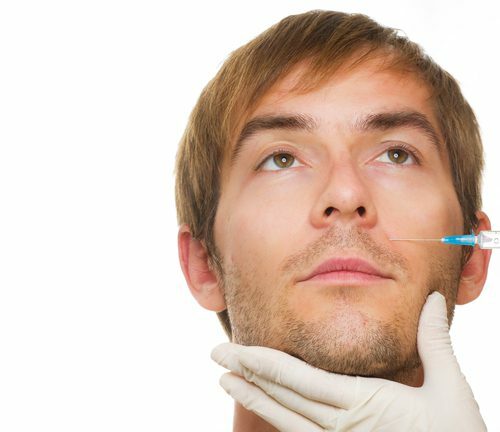 Facial fat injection results are immediate for male patients in NYC. Directly following your injections, enhancements may appear greater than your final result. The amount of fat injected into the face must be greater than the amount needed, (as fat is absorbed into the body) extra fat cells allow for the right amount of volume for your desired final result. After your fat injection consultation with Dr. Steinbrech, you will have a clear understanding of your projected result. For more information about facial fat injections in NYC, please call (646) 480-7750 or visit Dr. Steinbrech’s clinic to set up your no-obligation consultation today.